I began this study in landscape format. However, it gave me more meaning when I flipped it to portrait mode. 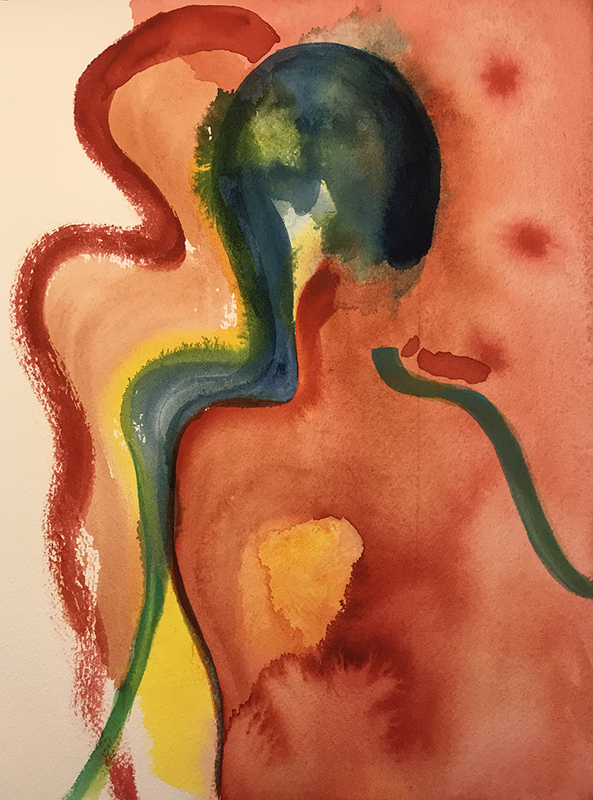 This entry was posted in Personal Stories and tagged abstract art, art, artistic process, creativity, double portrait, painting, portraiture, shadow portrait, visual arts, watercolor. Bookmark the permalink. Could be. There is a red hand on the shoulder of the foreground figure. Maybe alter ego and ego have some kind of connection. Yes, that is what made me think of it with your image, that they are touching. Kind of a mysterious picture, I felt, what passes between them?